Ever since Cleopatra sank into her milk bath to preserve the softness of her skin, man, or mostly woman, has used some form of product to enhance or preserve her looks. In ancient Egypt and Rome there are multiple references to the use of olive oil, beeswax, kohl and henna for beautification, along with less attractive concoctions made from the sweat of sheep’s wool, placenta or snails. Even the bible has a mention of Jezebel’s painted eyelids, along with various beauty treatments used by Esther. Over this side of the world is no different. There are rich traditions of liberal and expert use of herbs and plants for everything from ailments to enhancements, many of which continue today. Indonesia alone is vast botanical storehouse with some 6,500 species of plants, of which nearly 4,500 are native to Java.? Small wonder then that royal palaces have scores of recipes for lotions and potions, many of which were jealously guarded for centuries but have now made it to the market. But you don’t have to be of noble blood to be a plant user. Even your average kampong dweller had some knowledge of which herbs to use both internally and externally to good effect. In today’s more chemically -suspicious world, this plant-based knowledge is now all the more appealing. Most Indonesian based companies we looked at referenced traditional recipes and heritage as a major part of their product creation. From the tiny Cantika in Ubud to the mighty Mustika Ratu, it seems that trends towards natural, local and traditional are the way forward. But how to distinguish and chose from the myriad of products? Out west, the likes of Anita Roddick pioneered the translocation of remote plants into lotions, tinctures and skin care, simplifying and demystifying exotic ingredients in a way that made Body Shop enormously successful. Here, you still may find yourself attempting to decipher the Bahasa Indonesia label on a local product and not knowing what the ingredients are. 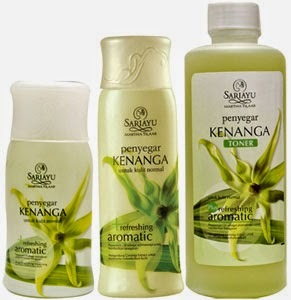 Bilasan Santan conditioner or Merang shampoo anyone? That other subconscious reference point we use to drive our purchases– pretty packaging - is notably absent from most of the Indonesian market, with white plastic bottles and garish, often unappealing logos belying the efficacy of the product within. Get past that, and in amongst the generic Garniers’, Pantenes’ and Niveas’ on your Hardy’s supermarket shelves are a host of interesting local concoctions that are well worth trying. We picked a few companies, some huge, some cottage, and used a posse of mostly female testers, ranging in age from 14 to 70 to give a selection of Indonesian-made items a try. Some products also travelled off-island, going as far afield as London, England and Lamu, Kenya in this process. We only tested products for skin and hair, and not the internally ingested jamu’s also offered by a number of these companies. With a turnover of $75mill, this is the largest beauty product company in Indonesia. It houses a series of different brands covering hair, skin, make up and spa items, mostly the company asserts, from traditional natural recipes. We tried out the mid range Sariayu products and found the body lotions appealing with Esotik Tanjung for Rp14,000 a favourite for its light texture and evocative smell. In the higher range Biokos, products are conveniently packaged into decades – 20’s 30’s 40’s up to 60’s Some of the face creams are quite thick and take some rubbing to absorb, but overall the quality is good and price most reasonable compared to similar imported products. The wrinkle filling serum for example will only set you back some Rp70,000 and a tub of rich 40’s moisturiser about Rp50,000. A slew of salons across the island use Biokos for their facials, so getting information or testing a product is easy. You can also visit the Martha Tilaar spa in Legian where, for Rp 40,000, you can mix your own lipstick colour from various primary colours on offer. They melt and meld your final result for you to take home in a jar wrapped in a lovely linen sleeve. Viva is the oldest cosmetic company in Indonesia and much praised for its eyebrow pencil, which, like many products, isn’t beautifully packaged but costs a mere Rp17,000 and is universally approved by a slew of? Indonesian women, young and old. Beware fakes – its popular enough to have generated rip-offs of far lesser quality. Other products from Viva that are also worth a go – the cucumber astringent is fresh and light in this humid climate and is good decanted into a spray bottle. Mustika Ratu, a 2013 winner of Indonesia’s best brand award, is another huge company making some 700 products. Linked to Javanese royalty, the founder of the company used traditional spices and recipes for their varied offerings. Our particular favourites were the powdered face-masks (although having to procure rosewater to mix them was a faff), the Taman Sari Royal Heritage cocoa scrub was wonderful and their entire range of shampoos are exotic and work well. Natur - This company focuses on natural hair products, with some relatively garish packaging. The “hair fall” shampoo was a clear winner in a straw poll of favourite products, followed by the anti dandruff, and the ginseng conditioner. The lack of English on the packaging makes purchase a challenge, but is worth trying to decipher the pictures or cornering an Indonesian speaker to help. Curiously the pamphlet inside does have an English translation. Wardah – a halal range of products that seems to target “hijab-wearing women of inspiration.” We only tried a facial scrub, priced at the very reasonable Rp11,500, which is light, non-soapy, and fresh. Beware the whitening in local products. Watch out for items containing bengkoang or with the words pemutih kulit on the packaging unless you are specifically aiming for a paler complexion. And while based on traditional recipes, products do contain parabens and preservatives. This is found across the spectrum for the larger Indonesian manufacturers. Not so for the…. It was hard to avoid using superlatives when we tested perfectionist Michael R Lorenti Jr’s products. Made in an unusually tech GMP (Good Manufacturing Practice) facility in sleepy Jasri in east Bali, almost everything about the way this company operates is positive. Styled as a profit-sharing co-operative, it gives back significantly to the community that houses it, and employs many in supplementary fields of loofah growing, seaweed collection and coconut oil making. International organisations such as Dying to look Good, an outfit that have written a book on the harmful effects of chemicals contained in cosmetics, have endorsed their products as “impeccably pure” and they are members of a slew of ethical organisation’s including the Campaign for Safe Cosmetics and the fastidious Green Products Alliance. But most importantly, Sensatia makes a range of potions that are delicious. Using a fusion of local and imported ingredients their products won praise for smell, texture and effectiveness. Favourites were Tropical Wildflower body butter, at Rp 300,000 for 100ml, which is an absolutely wonderful cream containing grapefruit, ylang ylang, lavender, geranium, jasmine in a combo base of shea butter, moluccan almond and wheatgerm. Second was a light and lovely body Vanilla and Mandarin body milk, hoarded and sparingly used by the tester who wanted it to last and last. The glass bottles add a luxe of touch but are sometimes annoying to carry for nomadic travellers. None of their items contain any form of chemicals preservative, relying instead on sea salt and essential oils for product longevity. It means their stuff lasts a max of two years, which is a good shelf life for such uncompromisingly natural products. Prices for Sensatia are not cheap, but for quality and full-on commitment to green principles they are hard to beat, and a bargain alongside international natural brands of similar aspiration such as Aveda and Dr Hauschka. Sensatia also makes complete own label ranges for some of Bali’s top end hotels including Alila group worldwide, Sentosa Seminyak, Karma Resorts, the Chedi, Tjendana resorts, and is about to embark on a special range of Sensatia Leisure spa products for host of other, smaller resorts in Bali and abroad. A long running liaison between Melanie Templar and Dayu Suci resulted in the foundation of Utama Spice some 20 years ago. With a fierce commitment to an environmental and natural way to produce cosmetics using traditional Balinese wisdom, this company has come a long way from the incense sticks that first propelled them to fame. Dayu’s father was a pedanda and much of their knowledge was acquired from ancient lontars in Klung Kung. Months, sometimes years of experimentation have led to a comprehensive range of body lotions, incense, essential oils, soaps and scrubs based on traditional recipes and encompassing a Tri Hita Kirana (working harmoniously with nature, humanity and the divine) approach. The company, now run by Melanie’s daughter Ria, makes all its own bases, uses recycled wood in its shops and eschews packaging in its attempt to stay with its green, natural ethos. Ria is particularly proud of the “Begone Bug”, a natural insect repellent containing legundi, citronella, clove and cajeput oils. With no deet it’s particularly kid-safe. While the smell was universally liked, one tester found it separated and was less effective than her favourite natural Thai concoction. The other tester loved it so much she went to the factory and bought an industrial one litre bottle and a few pump dispensers which she regularly refills and which sit all over her house. The body balms are their other source of pride. Easy to carry in pragmatic plastic hardwearing containers, we found that some had unexpected side benefits, perhaps due to their medicinal roots. When one tester burnt herself she reached for the only thing close by, her Fresh Soul body balm with fennel and mint (Rp 88,000 for 100g), and it turned out to have immediate soothing benefits on her kitchen-scorched skin. Smell and consistency were also great, with my favourite balm being the rich Aphrodisia that doubles as an after sun lotion. With a new branch on Jalan Danau Poso, in Sanur, not only is the range well displayed and easy to access, but you can also make your own personalised lip balm and body mist in store. 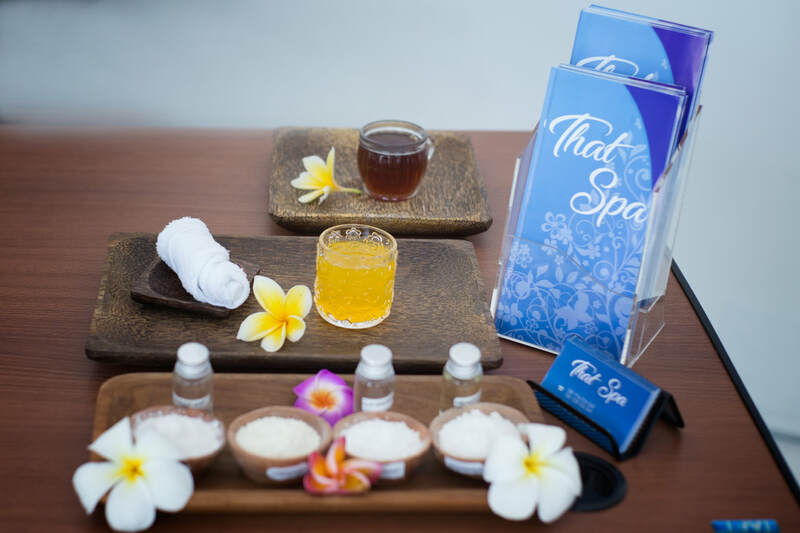 Utama Spice also supply Surfer girl, Waterbom, Misool Eco resort and a series of 4/5 star hotels including the Four Seasons, Banyan Tree and Ritz Carlton, Recent expansion has seen greater penetration within Indonesia, particularly on the retail front. 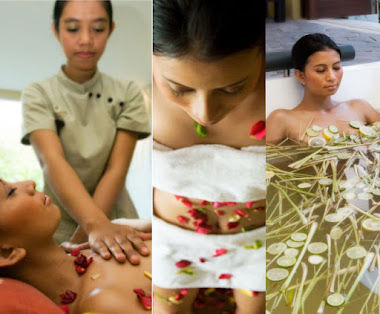 Cantika is well known in Ubud, with three spas and a passionate owner? Ibu Jasi, who makes use of local ingredients and lore for her range of of herbal shampoos. Due to no preservatives, products should be used within 2 months of purchase. Nadis herbals, a small outfit that also conducts herbal walks, set up shop three years ago. Pak Westi is a trainee ayurvedic doctor and along with potions there are anti cancer teas and numerous capsules treating everything from memory loss to digestion. As former Utama Spice employees, their product lines bely their former experience - long burning hand rolled incense that doesn’t use tree shavings or toxic glue (rather a combo of bamboo and tapioca jelly pudding), mossie repellent and an award winning beeswax lip balm, along with a slew of massage oils used by salons such as Golden Hands and Bodyworks in Ubud. 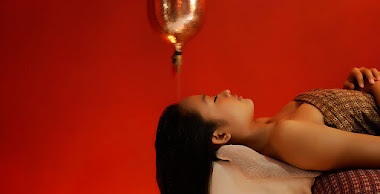 Prices are good with lotions costing around Rp 30,000, which hints at the use of preservative-oriented pre-made bases that undermine their natural credentials.